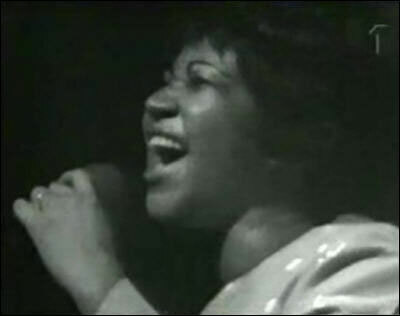 ...with ARETHA FRANKLIN, Live in Stockholm, 1968! The "Lady Soul" concert was broadcast on Swedish TV, including: "There's No Business Like Show Business," "Come Back To Me," "Satisfaction," "Don't Let Me Lose This Dream," "Soul Serenade," "Night Life," "Baby I Love You," "Groovin,'" "(You Make Me Feel Like) A Natural Woman," "Come Back Baby," "Dr Feelgood (Love Is A Serious Business)," "Since You've Been Gone (Sweet Sweet Baby)" "I Never Loved A Man (The Way I Love You)," "Chain Of Fools," and "Respect." RAY CHARLES: Advance stream the reissue of Modern Sounds in Country and Western Music, Vols. 1 and 2. JULIA JACKLIN advance streams Crushing. OUR NATIVE DAUGHTERS advance streams Songs of Our Native Daughters. BENNY SINGS advance streams City Pop. YOLA advance streams Walk Through Fire. ADIA VICTORIA advance streams Silences. JENNY LEWIS shares “Heads Gonna Roll.” And it's an all-star band, starting with Ringo. BROKEN SOCIAL SCENE shares "Boyfriends." 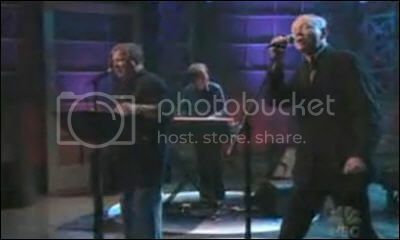 WILLIAM SHATNER, BEN FOLDS & JOE JACKSON: Just some "Common People." RYAN ADAMS further responds to claims of sexual manipulation via Twitter. Liz Phair weighs in. ALSO: Indie rock may be rife with beta male misogyny. PAVEMENT: The Infinite Radness of Crooked Rain, Crooked Rain. HENRY ROLLINS reviews the soundtrack of his life. THE NUMBER ONES looks at Sly & The Family Stone's sweaty, hopeless funk jam "Family Affair" and Melanie's frisky novelty smash "Brand New Key." NOW SHOWING: This weekend's wide releases are Alita: Battle Angel, scoring 59 percent on the ol' Tomatometer; Isn't It Romantic, which is scoring 66 percent; and Happy Death Day 2U, scoring 65 percent. KANYE WEST got KIM KARSDASHIAN a private Kenny G concert for Valentine's Day. R. KELLY may face indictment after prosecutors review an explosive new videotape that reportedly shows Kelly sexually assaulting an underage girl. JUSSIE SMOLLETTmay have staged the attack against him, according to Chicago media reports.The CPD disputes these reports. ARIANA GRANDE recorded an alternate version of "Thank U Next" in case she married Pete Davidson. BILL COSBY issues a statement from prison saying he has 'no remorse' and is a 'political prisoner' like MLK, Gandhi and Mandela. ELIZA DUSHKU is expecting her first child with her husband, Peter Palandjian. WILL SMITH explains why he turned down The Matrix. JEFF BEZOS discussed buying AMI to find out source of the leak of his risque photos. JASON MOMOA is in negotiations to join the ever-growing cast of Dune. SPONGEBOB spinoffs may be coming to Nicolodeon. PIRATES OF THE CARIBBEAN: The reboot stalls as Deadpool's screenwriters depart. 30 COMEDIC PERFORMANCES Worthy of Oscars Nominations, compiled by Vulture. 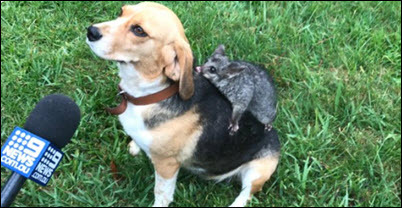 A BEAGLE MAMA is raising a baby possum after losing her pups. METAPHOR ALERT: A bald eagle named Justice is missing in D.C.
A CHOPPER carefully shepherded a group of elephants back into Amboseli National Park after they wandered out of the protected area and onto community land. 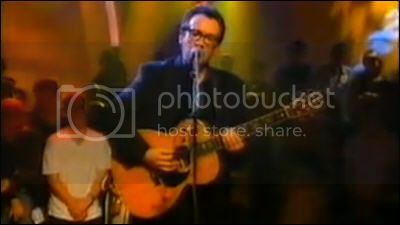 VALENTINE'S DAY: I've never been a big Valentine's Day guy, but I have always liked The Replacements' "Valentine" and Elvis Costello's cover of "My Funny Valentine." Beyond that, my thoughts typically drift to the Velvet Underground's "I'll Be Your Mirror," The Beatles' "In My Life," and the Beach Boys' "God Only Knows." I think it's probably very difficult to write a straight-ahead, universal love song, and these three are great. MOUNTAIN MAN plays a Tiny Desk Concert. SNAIL MAIL visits Morning Becomes Eclectic. THE 100 BEST LOVE SONGS, according to The Telegraph. THE TOP 50 LOVE SONGS, as measured by Billboard. VH-1's 40 Awesomely Bad Love Songs. THE WORST LOVE SONGS, according to faculty members of the University of St. Thomas’ Music Department. NINE SONGS ABOUT SEEING YOUR EX MAKING OUT, courtesy of The A.V. Club. A hardy perennial. RYAN ADAMS faces multiple claims of sexual misconduct, which he denies. KATY PERRY is “saddened” after her shoe collection is withdrawn amid blackface claims. MIRANDA LAMBERT tossed salad in a heated confrontation. THE BRADY BUNCH is looking for the stuff in their old house. BREAKING BAD reportedly will have a movie sequel on Netflix. TOLKIEN: The Nicholas Hoult-led biopic of the Lord of the Rings author has a trailer online. PUPPY LOVE: Rescue dogs tie the knot for Valentine's Day. THIS GUY just keeps rescuing cats who got lost in the wildfire months ago. A BALD EAGLE laid her first egg of the year in Washington. 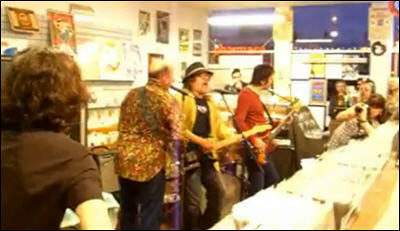 PAUL COLLINS & PETER CASE, formerly of The Nerves, play "Hanging On The Telephone" in-store. CHERRY GLAZERR visits Morning Becomes Eclectic. MAGGIE ROGERS hits WFUV's Studio A. ALL SONGS CONSIDERED features Amanda Palmer, Pkew Pkew Pkew, The Budos Band, and more. GILLIAN WELCH & DAVE RAWLINGS share their version of their Oscar-nominated song, "When A Cowboy Trades His Spurs For Wings." 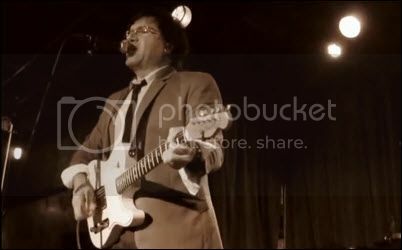 BILL McKAY shares "Try It On." FOALS are down a member, but up two albums. THE TWILIGHT SAD talks to Drowned In Sound. THE NUMBER ONES looks at Isaac Hayes' blaxploitation-funk classic "Theme From Shaft"... and we can dig it! CHRIS PRATT responds to Ellen Page's complaint about his church. YESTERDAY, in which Danny Boyle and Richard Curtis imagine a world where only one man remembers The Beatles, has a trailer online. JEFF BEZOS' lover Lauren Sanchez shared some of his risque pics with her brother and several female friends. THE OSCARS' decision to move some categories to commercial breaks is not going down well in Hollywood. LIAM HEMSWORTH is still healing after a bout with kidney stones. AZIZ ANSARI reflected on the MeToo accusation against him during a "pop-up" show in NYC. RIDLEY SCOTT directed a Hennessy ad; the short version will run during the Oscars. A REMOTE-CONTROLLED CAR at the dog park. MORE THAN 50 POLAR BEARS have invaded a Russian town in the remote Novaya Zemlya archipelago. KING, a Wire Fox Terrier, has won "Best in Show" at the 143rd annual Westminster Kennel Club Dog Show. On the mend, with Tuesday Things. PEZ BAND play "Baby It's Cold Outside" and "Close Your Eyes." UNEARTHED, VOL. 4: Jerry Garcia & Friends at the Matrix, 1966-71. BONNY DOON covers Lucinda Williams, Gillian Welch, and B Boys in a Lagniappe Session. LAU NOAH plays a Tiny Desk Concert. FILTHY FRIENDS returns with "Last Chance County." ST VINCENT marked her Grammy wins with a new "MASSEDUCATION" video. HEART announce their first tour in three years after a "nightmare" that almost ended the band. BOB GELDOF is hit with fresh claims of fraud and tax avoidance. THE NUMBER ONES looks at Cher's melodramatic story-song "Gypsys, Tramps & Thieves." THE OSCARS revealed which categories are getting moved to commercial breaks. THE BATMAN: The list of possible stars will make you long for Ben Affleck. RED SONJA is being put on the back burner amid the Bryan Singer controversy. GAME OF THRONES: The original pilot script had some big differences. ALSO: The death of one character is confirmed. HOWARD THE DUCK is coming to Hulu, with Kevin Smith. THE IRISHMAN will be seriously de-aging DeNiro and Pacino. ALADDIN has a trailer online. CATCH-22: The Hulu mini-series starring George Clooney and Kyle Chandler has a trailer online. TURBO ROO, a tiny pupper on wheels. A BOBCAT chases a squirrel across a large patio. A MAN releases a giant rat inside McDonald's. FRISCO FIREFIGHTERS are trying everything they can to keep their pet cat, Edna, after management has apparently asked them to get rid of the feline. Still recovering, but Monday Things. LCD SOUNDSYSTEM is streaming the Electric Lady Sessions. JULIA JACKLIN stops by World Cafe. GUSTER visits Morning Becomes Eclectic. LAURA STEVENSON shares “Living Room, NY." BEIRUT plays "Gallipoli" on Colbert. LINDSEY BUCKINGHAM suffered vocal cord damage during open-heart surgery. MARVIN GAYE's scrapped follow-up to 1971 classic What’s Going On will be released on March 29. 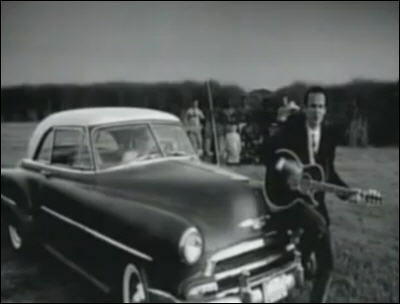 DINOSAUR JR's 1994 song “Over Your Shoulder” is Big In Japan. MERCURY REV tell Stereogum the story behind their all-star ode to Bobbie Gentry. THE NUMBER ONES looks at Rod Stewart's immortal howler "Maggie May." WEEKEND BOX OFFICE: The LEGO Movie 2 tops the chart with 34.4MM ... but that's way below the 40-50MM range projected by studios. It's much better than LEGO Ninjago, but about 35 percent below LEGO Batman and 50 percent below the original.Given the good reviews, it seems like maybe they've pushed too many LEGO Movies too quickly, leading to oversaturation. What Men Want places with 19MM, which is probably fine against a 20MM budget. Cold Pursuit shows with 10.8MM, the latest in a string of anemic openings for Liam Neeson, but the studio likely does not care because the Neeson revenge flicks still do boffo biz in foreign markets. The Upside slides to the fourth slot with 7.2MM on a leggy 17 percent drop. Glass rounds out the Top Five with 6.4MM on a 33 percent drop as it nears the 100MM mark this week. THE GRAMMYS went to these folks. Congrats! THE 10 FUNNIEST "BEST NEW ARTIST" GRAMMYS, according to Brooklyn Vegan. ALBERT FINNEY, the British stage and film actor who defined an era’s rage and frustration in dramas of blue-collar realism and social revolt and went on to find stardom in Hollywood, died on Thursday in London. He was 82. Though he'll always be better known for Tom Jones, Erin Brockovich, and even Skyfall, Variety rightly spotlights his turn as Winston Churchill in The Gathering Storm. SEAN PENN loves Bradley Cooper and A Star Is Born, like realllllly. BRAD PITT was spotted at Jennifer Aniston’s 50th birthday party. AQUAMAN is getting a spinoff? BOB COSTAS, to no one's surprise, got in trouble at NBC over the issue of head injuries in football. ZOOEY DESCHANEL & JOSEPH GORDON-LEVITT revisit (500) Days of Summer, 10 years later. JENNIE GARTH and Dave Abrams have called off the divorce. SHAFT is coming to a new generation. And we can dig it. CHILD'S PLAY: Chucky returns in a trailer for the remake. CHIMPANZEES use tree branches to make a ladder and leave their enclosure at the Belfast Zoo. THE SWARM is learning math. HUNDREDS OF THOUSANDS OF FISH HAVE DIED in Australia over the past few weeks. The cause hasn't been determined. AUSSIE FLOODS mean gators and snakes everywhere.